The Young Designer of the Year competition is open to designers who will be 25 years old or less on the 1st January 2017. This year’s event is for individuals, so in creating a design, competitors must work alone. In due course, all finalists (including winners) will be required to submit a copy of an official identity document (Passport or ID Card) in proof of their age. 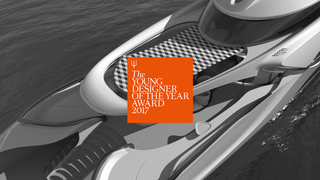 This year for the first time, this competition has been divided into two categories that are intended to separate the experience levels of students of design from those competitors who have finished their studies and are employed as a designer or as an intern designer within the yachting industry. Student Designers. This category is for students of design currently in full-time or part time studies, who have on no occasion been in paid employment in yacht design. The age restrictions specified in the eligibility paragraph, above, remain in place. Professional Designers. This category is intended for designers who have completed their studies who are now in paid employment within the yachting industry. The age restrictions specified in the eligibility paragraph, above, remain in place.